CVE recruits volunteers to work with local agencies on historic preservation projects. Look through our newsletters to get an understanding of our trips. And see if a future trip interests you. By going off the regular tourist tracks, we sometimes discover ancient and historically significant artifacts that have long been hidden by plants and jungle. Often working with local agencies, we help them repair degrading architecture, clear vegetation, or rebuild crumbling masonry. 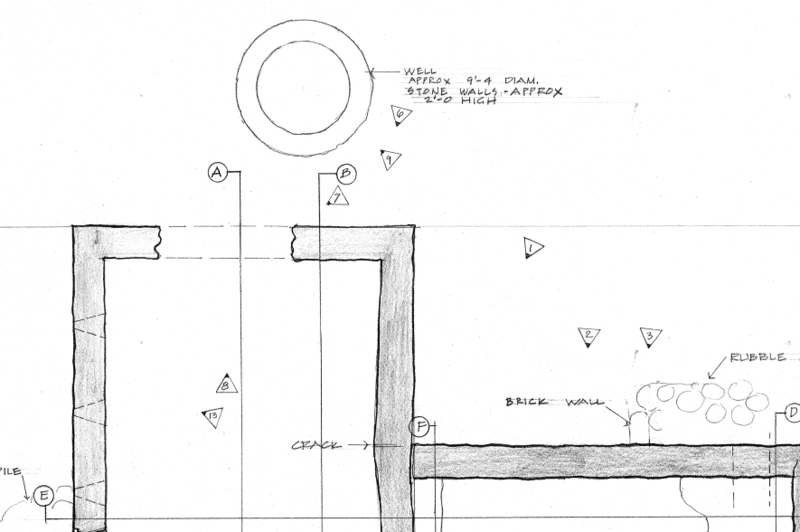 We preserve and document the culturally significant architecture, placing building and structure surveys on record with the local historical society or governmental office. Each year, storms and tourism-related development threaten Caribbean historical artifacts, slowly erasing important parts of each island's cultural heritage. 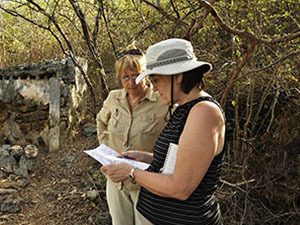 Caribbean Volunteer Expeditions (CVE) supports local efforts to record and document historic these architecturally valuable resources before they are gone forever. 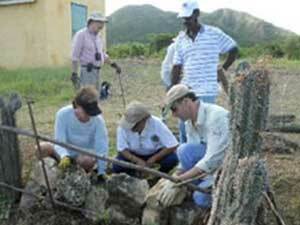 Our volunteers meet the preservationists, scholars, and historians involved with Caribbean preservation. A CVE volunteer is someone who enjoys the Caribbean, but who also wants to contribute and be involved to preserving an island's historical culture. While many of our volunteers are current or retired architects, architectural historians, and others from the preservation fields, you do not need a professional architecture or preservationist background to participate. 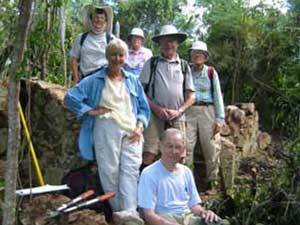 Our organization works with volunteers of all ages from the United States or Canada. We take several trips per year, and you can call us to find out an upcoming schedule or download the latest one here.